On Tuesday 13th June, GB Railfreight (GBRf) participated in a recreation of the first Royal Train journey, taken by Queen Victoria 175 years ago. This time, it was Her Majesty Queen Elizabeth II and His Royal Highness the Duke of Edinburgh who arrived back in Paddington, aboard one of Great Western Railway’s (GWR) new, Hitachi-made Intercity Express trains, driven by traincrew from GBRf. Once at Paddington Station, a naming ceremony where Her Majesty named the new train, 800003, the Queen Elizabeth II. Her Majesty was joined on the journey from Slough to London by descendants of the engineer Isambard Kingdom Brunel, who designed and built the Great Western Main Line. 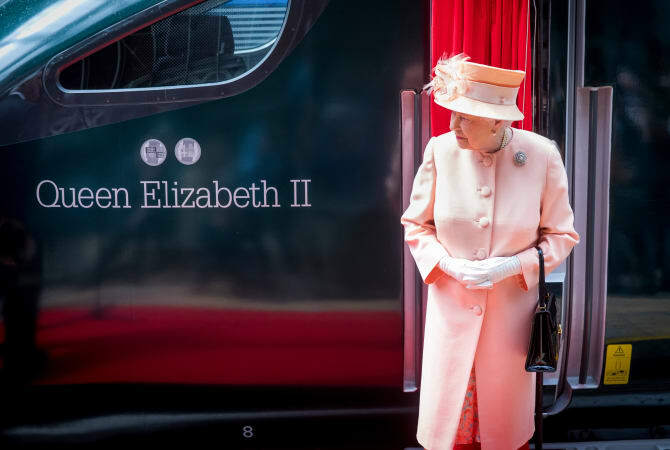 “It was a real honour to join Her Majesty The Queen in the naming of the new Intercity Express train on the occasion of the 175th anniversary of the first Royal Train journey by Queen Victoria. 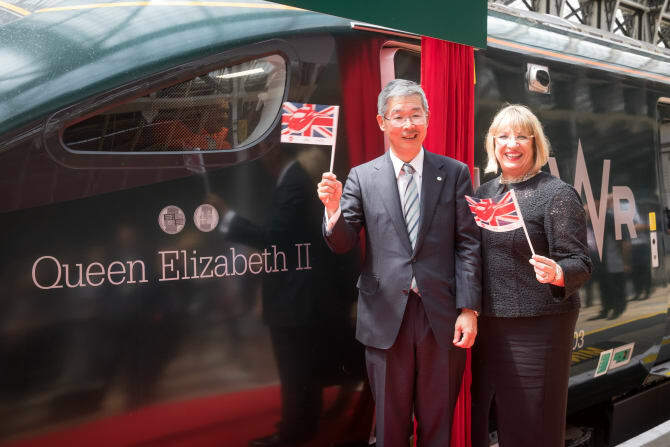 It was especially pleasing that GBRf could play a role in this memorable event by providing the crew for this operation through our successful partnership with Hitachi to test the new trains that will be rolled out by GWR later this year.